The Indian Scout is a fantastic motorcycle. The motor, suspension and brakes work together so seamlessly, the bike is one of our favorites. But now there’s a smaller version, and it’s much cheaper. 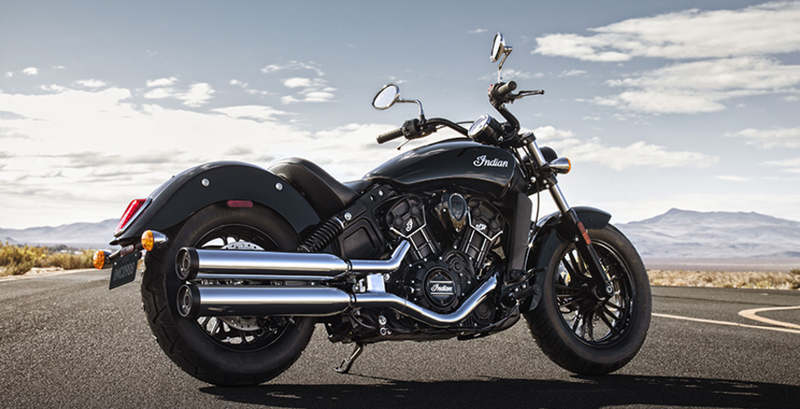 Indian has risen from the ashes to build some fantastic machines. Our favorite, and one that we think is as good as any Harley at the price point, has been the Scout. But we may just have a new favorite. The Scout Sixty, which just launched at the EICMA Motorcycle Show in Italy, is a smaller version of the Scout. Well, its engine is smaller, at least. The rest of the bike is the same size, sitting on the same wonderful platform. But instead of a 69 cubic inch displacement, the Sixty’s V-twin’s pistons move around—you guessed it— 60 cubes of fuel and air. That smaller mill makes 78 horsepower, so it’s down 22 to its bigger brother. The new baby Scout also makes do with five cogs in its gearbox compared to the big Scout’s six. On the weight front, the Sixty is lugging around 542 pounds, four more than its bigger brother. So great, we’ve basically got a less powerful version of an awesome bike. What’s the big deal? The big deal is the pricing. The Sixty undercuts the bigger Scout by a whopping $2,000. That’s money you can spend on better riding equipment! That low $8,999 starting price only applies to the Thunder Black model. If you’re itching for that sweet Indian Motorcycle Red, you’ll have to drop at least $9,299. If you go walking into a Harley showroom with nine grand, what are your options? An Iron 883? Meh. The Scout is a sexier bike, and weighs about the same. We realize that OEM horsepower claims are often inflated, but CycleWorld’s 883 dyno charts put it well below the Sixty on the horsepower front. So prettier, same weight and more powerful? Yes please. This is how you do “entry level” properly. Keep the same excellent suspension and braking hardware, but downsize the engine a bit and downsize the price a lot. None of this Ducati Scrambler Sixty2 nonsense where they lopped off 400ccs, gave it a worse suspension and smaller brakes and lowered the price by only $500. Needless to say, we can’t wait to ride the new Sixty this weekend. The Scout Sixty configurator is already up on their website, so check it out.